The Witching Hour and Bedtime Tips! Give warning. Whether Ellie is playing with dolls or at the park, we always give her warning that we're going to start getting ready for bed long before we actually start our routine. This gives her the chance to wrap up what's she doing instead of jumping right into it and thus causing a meltdown! Know your routine. We use a very kid friendly nighttime chore chart so that we are all on the same page for bedtime. 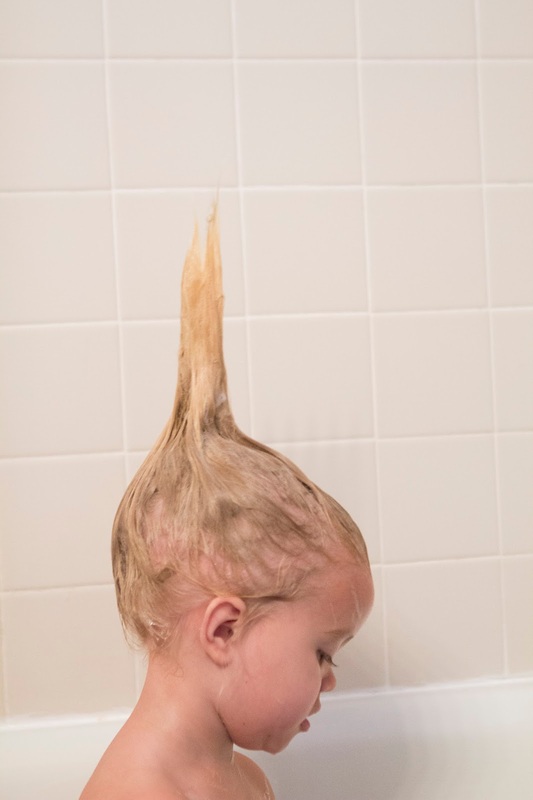 Ellie knows exactly what she needs to do just by looking at the drawings and loves checking off the boxes before bed. 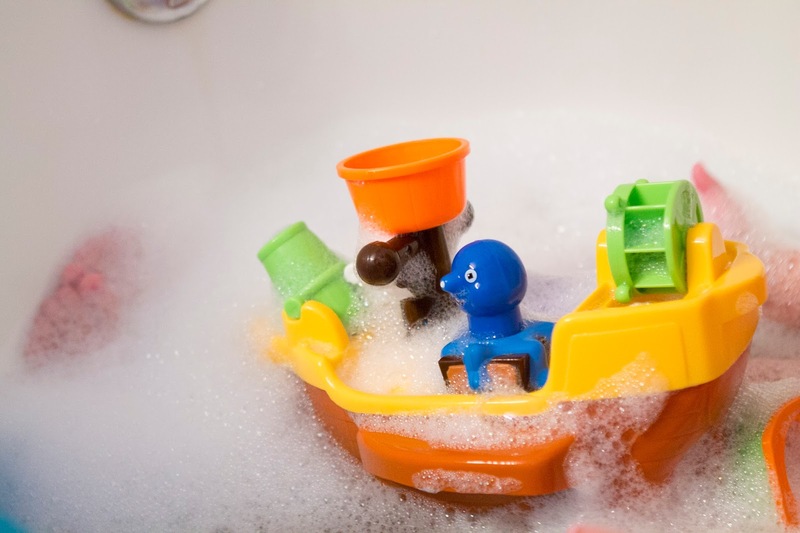 Take a Bath. The girls always start to settle down in a warm bath. 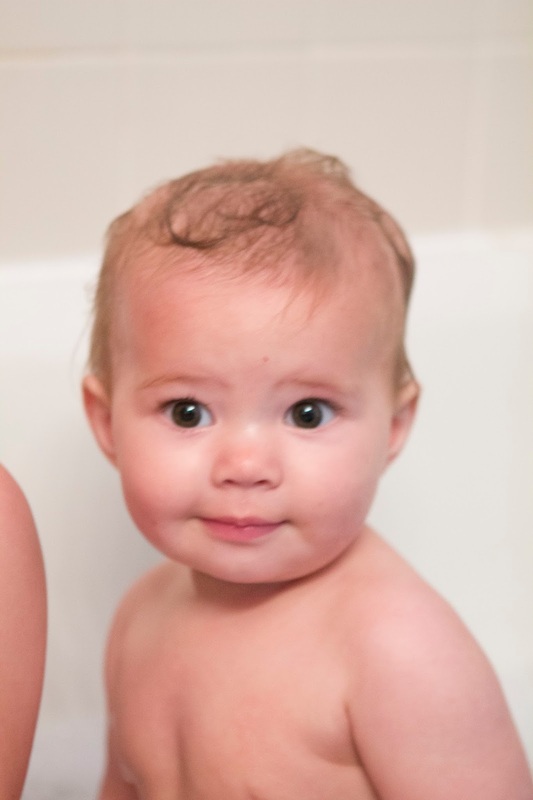 Now that Addie can sit up, the girls love taking baths and playing together. When we surprise them with a bubble bath, they light up! 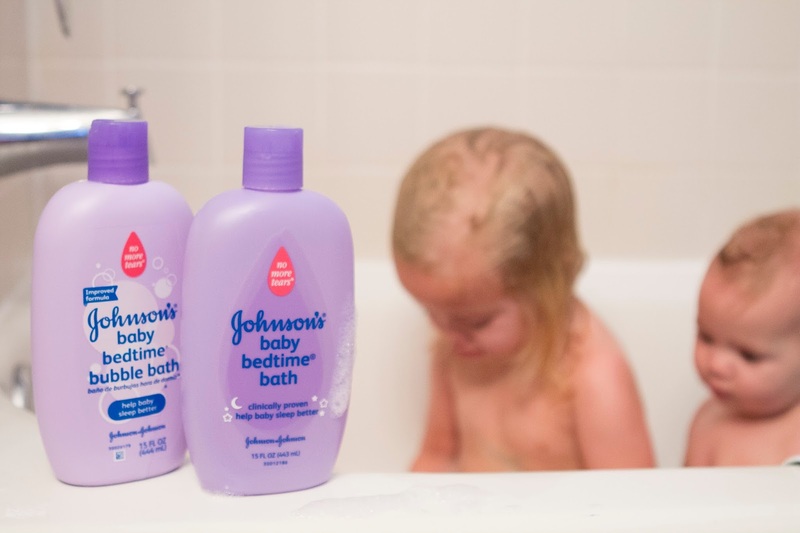 We love JOHNSON’S® baby BEDTIME® bath and JOHNSON’S® baby BEDTIME® bubble bath and wash. (We've used this brand since Ellie was born and to be perfectly honest, it's our favorite!) Addie will usually end up with bubbles all over her face, which sends Ellie into a fit of giggles. Baby Massage. When I was little, I remember my baby sister screaming in the car on a road trip and I was the lucky passenger sitting next to her. ;) My mom suggested giving her a little baby massage on her legs and feet and it totally calmed her down. And my nine year old self was like HALLELUJAH!!! 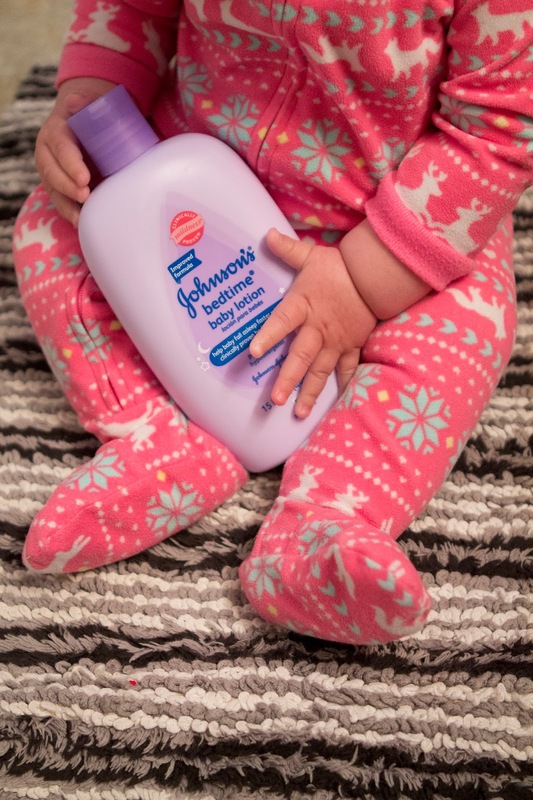 ;) Addie responds really well to a little baby massage before pajamas, plus its a great time to lather her up with JOHNSON’S® baby BEDTIME® lotion. Story Time. I think this is Ellie's favorite time of the night! Pinkalicious is probably her most loved book as of late. We've also started reading chapter books, too! Currently we're reading Ramona the Pest, one of my childhood favorites. Ellie loves it, plus after about 4.5 pages, she's out! We've read Anne of Green Gables and she loved it. Any other chapter book suggestions? Little House on the Prairie and Charlotte's Web are definitely on our list! Also, another favorite book: The Trumpet of the Swan. Love that one! The girls are getting so big - must mean another trip to Grams!! xoxoxoxoo Love you all so much! Cutest girls ever! We love story time right before bed too! My mom always read us Junie B Jones books at night. They were my favorite. 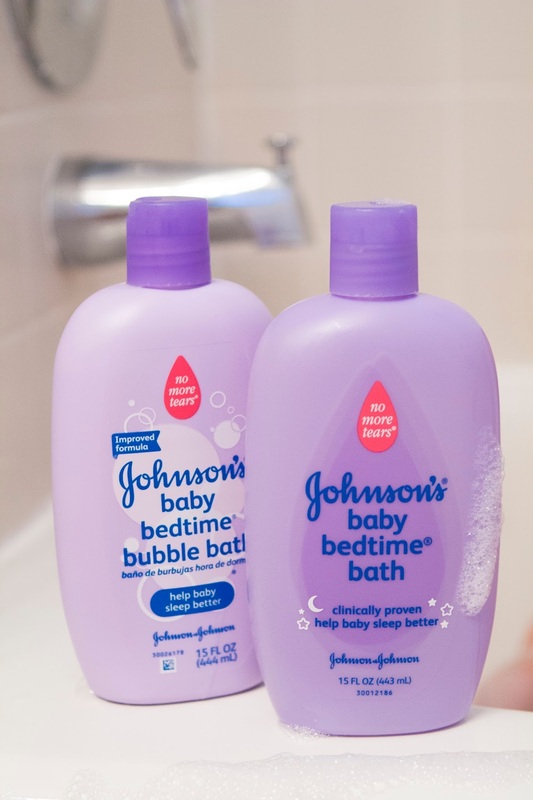 Yay, same J&J collaboration as you! I'm really loving this one so far.